EMERGENCY GROCERIES ARE AVAILABLE EVERY THURSDAY AND FRIDAY IN THE CHURCH OFFICE BLDG. FROM 10:00 AM TO 12:00 PM. ON THE FOURtTH FRIDAY OF EVERY MONTH WE HOST A FREE TO ALL DINNER WE CALL "MANNA CAFE" AT 5:00 PM IN THE FELLOWSHIP HALL. ALL ARE WELCOME NO MATTER WHO YOU ARE OR WHAT RELIGIOUS AFFILIATION YOU ARE. WE DO NOT PREACH OR TRY TO RECRUIT YOU: WE JUST WANT TO GET TO KNOW YOU AND OFFER YOU A WONDERFUL MEAL COOKED BY OUR VERY OWN CHURCH MEMBERS. Dundee United Methodist Church is a medium sized congregation that serves the central Florida area of Dundee, Winter Haven, Lake Wales, Haines City, Auburndale, and Davenport, but people travel as far as Lakeland and Poinciana to attend. We offer meaningful worship, biblically based preaching, relevant Christian education, and engaging opportunities for service. The Dundee United Methodist Church has a strong history in Dundee, and has been in the same location for over 100 years. Our strongest gift as a church family is our loving and caring congregation. We are truly a Church family. Visitors often say that Dundee UMC is one of the friendliest churches they have ever attended, and many who visit decide to make us their church home. Please join us to worship, study, and to be of service to those in need. Or just come to meet us and hear about our love of God and man. 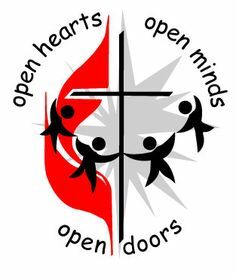 Want to know more about what being Methodist is all about? Click here for the United Methodist Website.